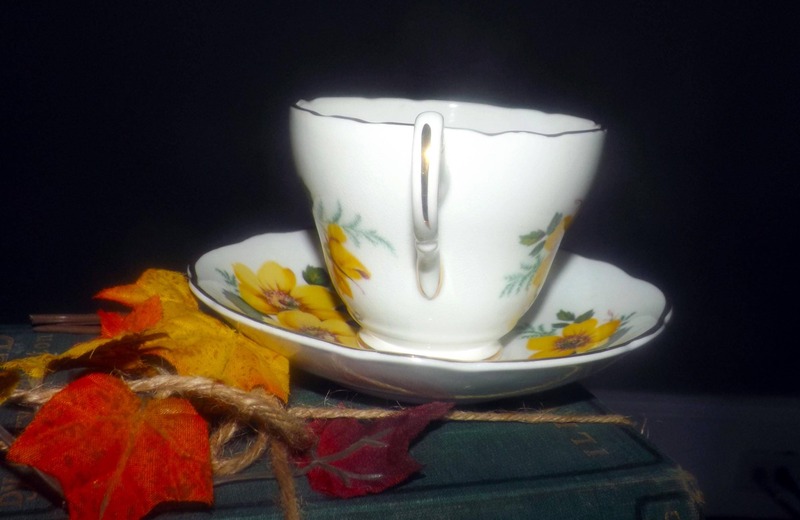 Quite vintage (1930s) Grosvenor China | Jackson Gosling England tea set (footed cup with saucer). 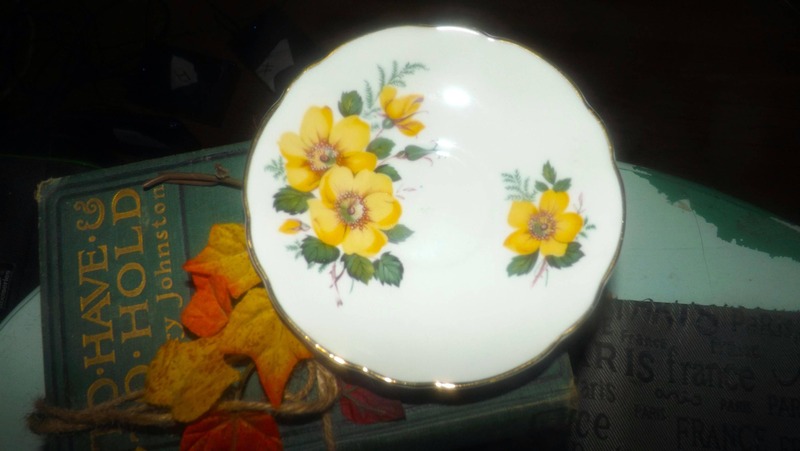 Yellow pansies | buttercups, gold edge. 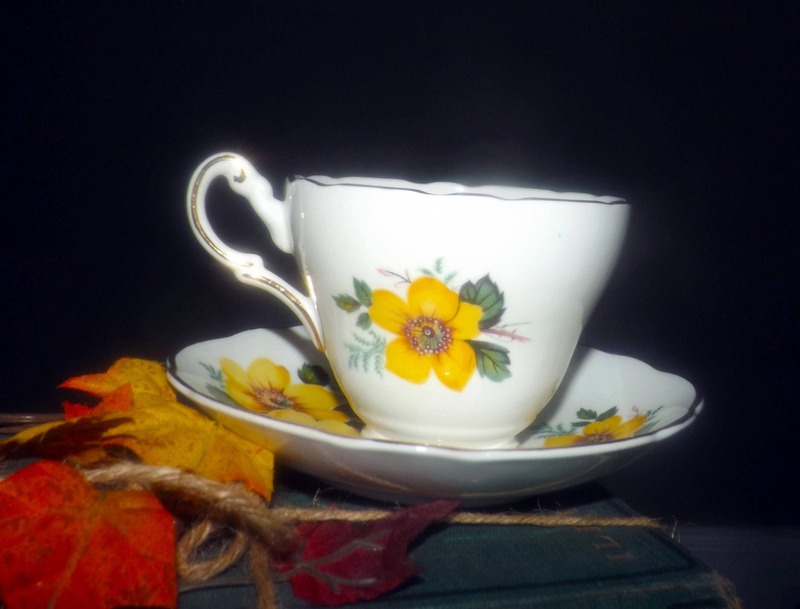 Quite vintage (1930s) Grosvenor China | Jackson & Gosling England hand-decorated tea set (footed cup with saucer) featuring yellow pansies | buttercups with pops of branches and greenery with a scalloped, gold edge and gold accents. In EXCELLENT! condition with NO! chips, nicks, cracks or fleabites, NO! loss to the scalloped, gold edge or accents, VERY MINIMAL! crazing and NO! marks, stains, scratches or other signs of use or wear. 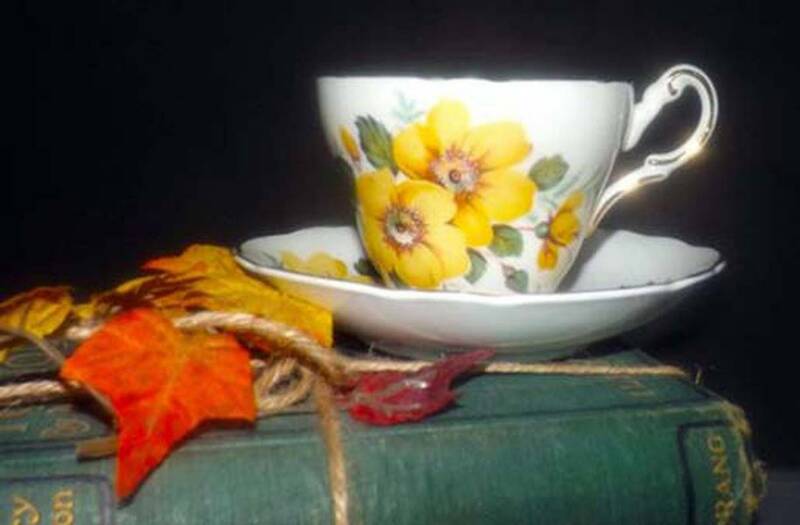 The yellow florals are bright and vivid with NO! fading apparent. Gold artist's brush mark to reverse. Great mom gift! 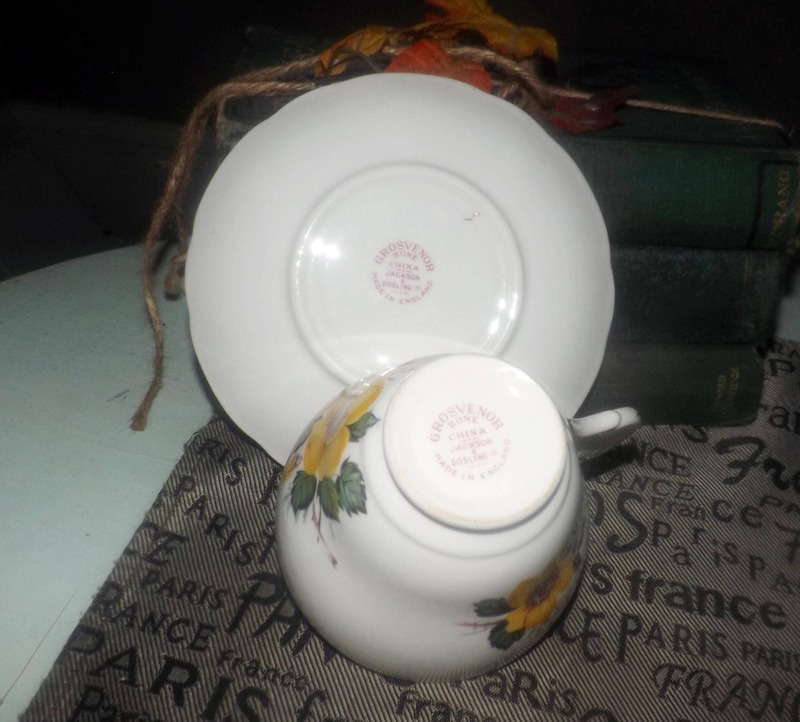 Approximate measurements: footed cup stands 4" with a 4-1/2" diameter bowl | matching saucer is 6-1/2" in diameter. 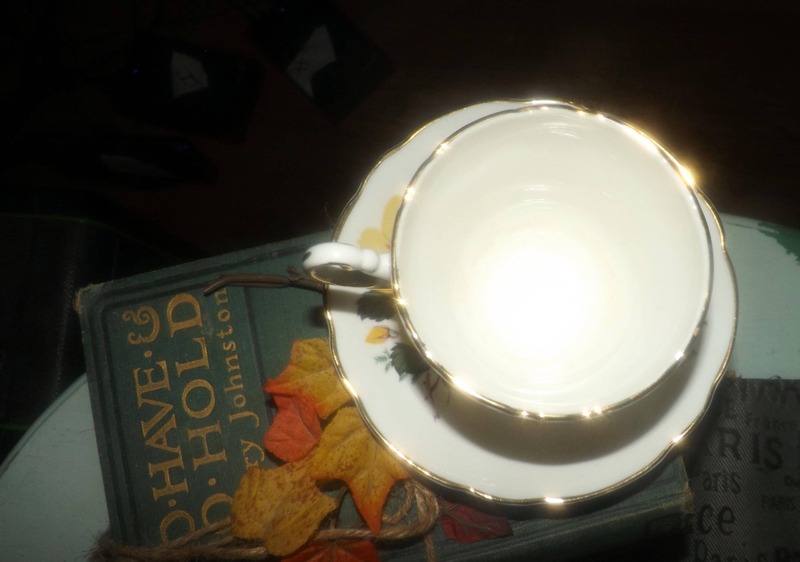 Both cup and saucer have a scalloped, gold edge.